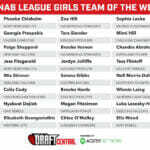 GEELONG Falcons and Eastern Ranges have recorded the most nominess in the Draft Central NAB League Girls Team of the Week for Round 4 following impressive victories on the weekend. 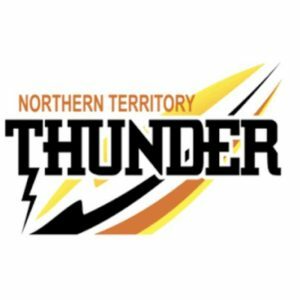 In an even spread across the competition, Calder Cannons and Western Jets recorded the one nominee each, while the remaining eight sides had two players in the Team of the Week. 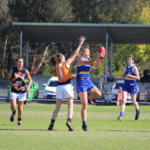 Geelong Falcons’ captain Lucy McEvoy, and Rising Star of the Week teammate, Luka Lesosky-Hay fill out the midfield with full-back Abbey Chapman slotting into full-back. 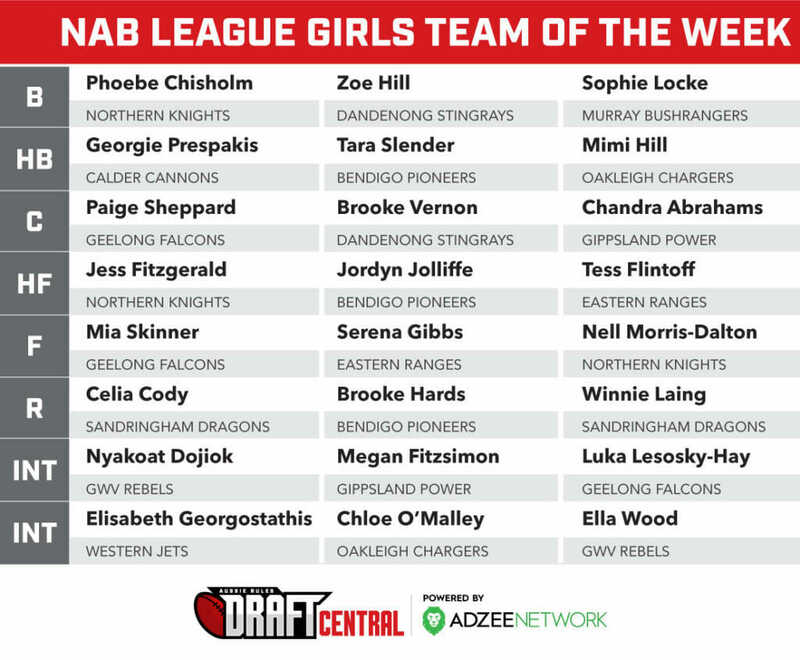 Eastern Ranges’ Olivia Meagher returns to the side and joins the Falcons pair in the centre line, while forwards, Serena Gibbs and Laura McClelland make the team of the week for the first time this year. Also in the midfield is last week’s Rising Star of the Week, Gabby Newton, joined by Knights’ forward, Nell Morris-Dalton in Round 4. 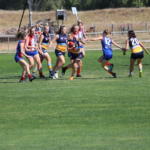 Bendigo Pioneers’ Brooke Hards is the remaining starting midfielder, in the team with Annabel Strachan who was best on ground in the Pioneers’ win over Murray Bushrangers. 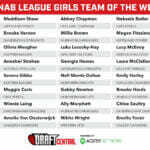 Millie Brown made the Team of the Week after an impressive game for the Bushrangers, as did Ally Morphett who has shown good signs as the season has progressed. Georgia Howes has been named at centre half-forward, while Stingrays teammate Brooke Vernon makes the team for the third time this season. 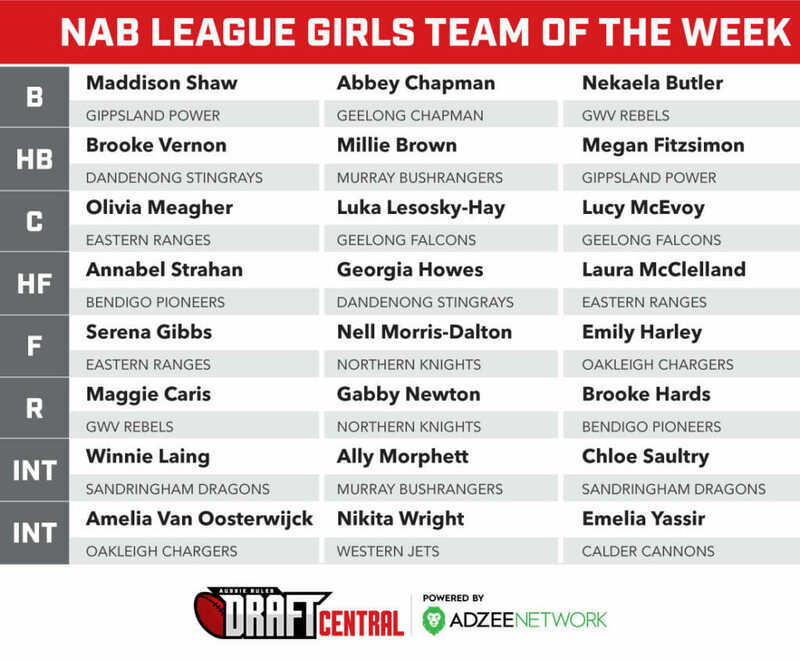 In defence, Maddison Shaw and Megan Fitzsimon represent Gippsland Power, while rounding out the defence is Greater Western Victoria (GWV) Rebels’ defender Nekaela Butler, while ruck teammate Maggie Caris makes the team again. Emily Harley has slotted into the Team of the Week in Round 4, joined again by Chargers’ teammate Amelia Van Oosterwijck. 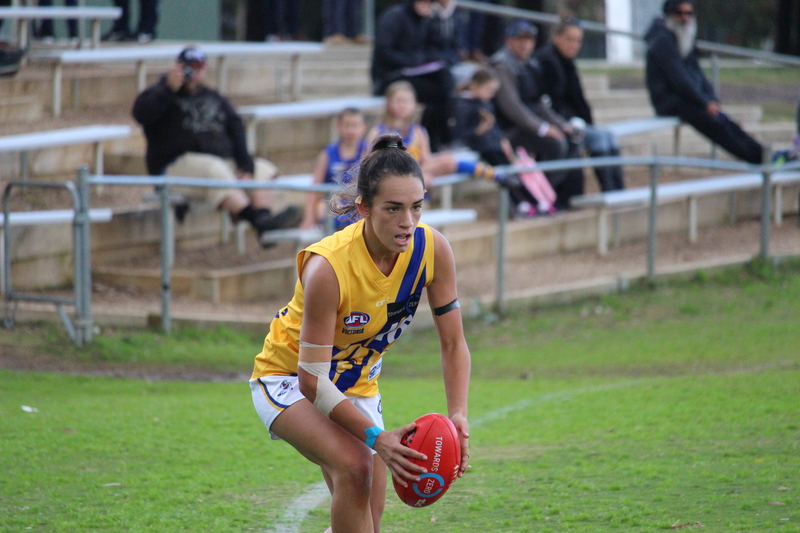 Sandringham Dragons also had two nominees in the Round 4 Team of the Week with Winnie Laing making the team for the second time this year, this time joined in the side by Chloe Saultry. Rounding out the interchange bench is Western Jet, Nikita Wright and Calder Cannon, Emelia Yassir.